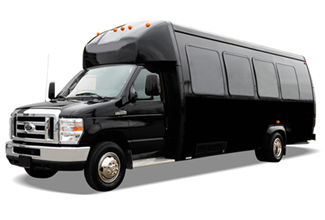 Comfortable, luxurious options for more than 13 but less than 20 people have been at a premium, however, as either larger-capacity vehicles or multiple vehicles were utilized to accommodate passenger counts in that range. Our new 20 passenger bus nicely fills that gap. 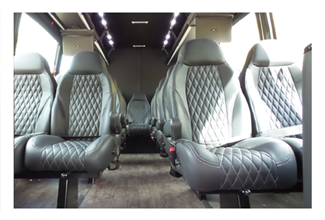 This 20-passenger bus is very similar to our Vanterra, with the seating and luggage section arranged in a similar manner. There is plenty of rear room for luggage (including a rod for hanging garment bags or jackets) as well as overhead compartments, upgraded amenities, comfortable and adjustable leather seating, power outlets for device chargers, and a bar station for coffee and refreshment service with a built-in cooler, this brand new vehicle should prove to be a favourite with corporate clients or any customer looking to accommodate mid-sized groups.